Laura, working as tour operator and SESer, is inflamed by passion with her job. 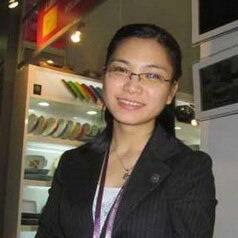 She loves to serve people by assisting them to plan their tour in China. She really enjoys the stories that people share with her in their journey. And she thinks highly of the “thank you” she got after she assisted people. Furthermore, this job combines perfectly her major and her interest. It also gives her a chance to realize her dream that people in other countries can understand her country well with their own eyes and ears while touring here. There’s always some reason for people to take a tour, like relaxing, exploring something unknown, sharing some sweet moment with his/her lover, doing something together with his/her family, ect. Laura will do all she can to rest assure that her customer’s tour is proceeding smoothly. Laura wins over customers not by word, but by work.